Can I Lead if I’m Not a Leader? How can I lead and inspire with Generate G Factor? First, you don’t have to have a leadership title to lead. You don’t have to be the boss, owner, supervisor, team lead, etc. Ponder this for a moment. We all lead unintentionally all the time. Yes, that means people are watching and listening to you. It might be the new coworker who takes your lead about where to sit in the conference room. It could be the long-time coworker who emulates your attitude during a major change at your organization. Second, when we inspire, we ARE leading. Think of it as an ability to create energy and purpose that gets others excited and moving forward. In other words, being an inspirational leader. And Generate G Factor is all about inspiring and being infectious (in a good way). This makes me think of being at my high school reunion this past weekend. (Although this is not a work story, please go with it.) I was sitting comfortably at a table and having a great conversation with those around me. I was comfortable because I was using one of my strengths—talking to others. One of my classmates, Lois, who I hadn’t seen in more than a couple decades said, “I’m going to talk to Derek” who was sitting at another table. Then, she got up and had a conversation with him. It was an amazing reminder that I too can get up, walk over, and talk to Derek instead of waiting for him to approach me. You see, my goal at the reunion was to be the antithesis of everything I didn’t like about high school—cliques, in groups and out groups, exclusion, etc. Derek and I didn’t have a lot in common in high school and I suspected that hadn’t changed. Lois inspired me to talk with Derek and her actions were infectious! I found out that Derek and I do, in fact, have something in common: we both live in the Twin Cities now. Small world. Generate G Factor isn’t just for class reunions. There is value in recognizing your strengths and using them to inspire and be infectious in the workplace too. Bain & Company drives this argument home with the internal research they conducted with 2,000 of their employees just last year in 2016. So, start using YOUR STRENGTHS to inspire and be infectious and grow your Generate G Factor! 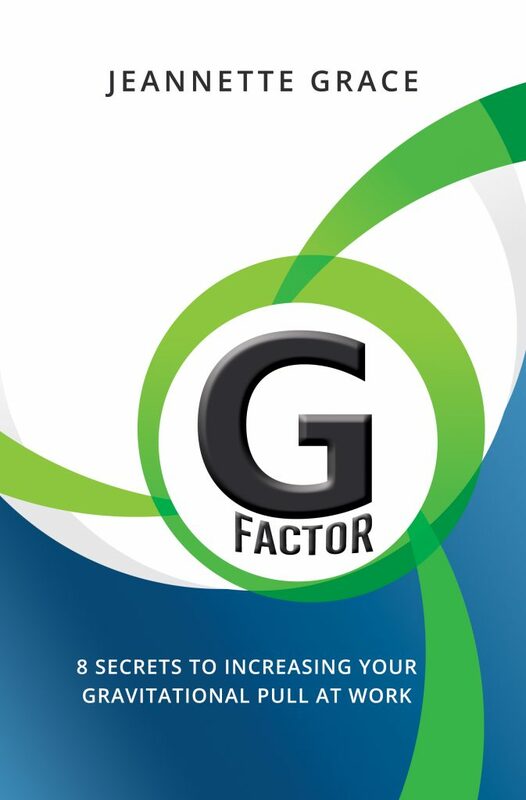 To learn more about Generate G Factor, buy your copy today of G Factor: 8 Secrets to Increasing Your Gravitational Pull at Work. Why You Should Quit Telling Me What to Do. Seriously, get a sense of humor! Or do you have one already? Can a little “thank you” make a BIG difference?